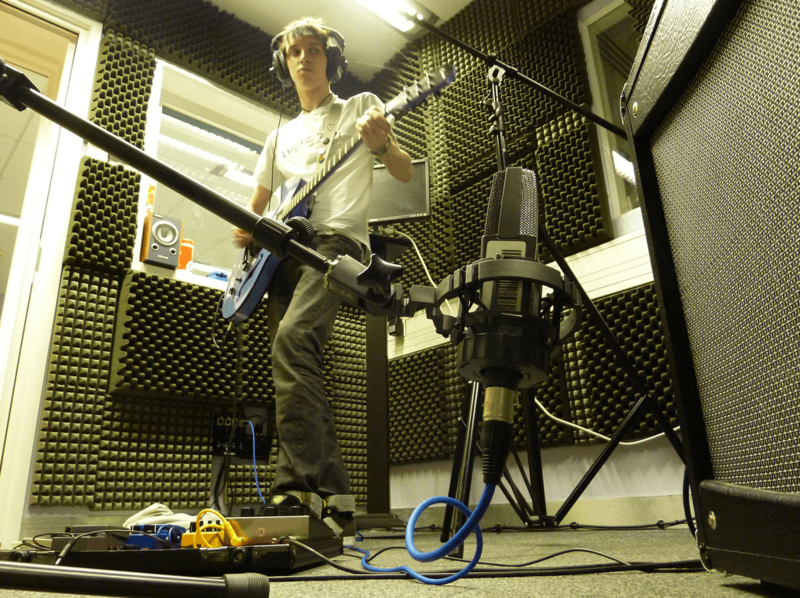 Mute, a young band from the Lincoln area, are recording their EP in the University’s multitrack studio. Level 1 Audio Production student Luke Pickering plays guitar and sings for Mute and this evening he is tracking his guitar parts. Fellow AP student, Alex Curtis is engineering the session leaving Luke to concentrate on his performance. The band have a lot of energy and a powerful sound which Alex is trying to capture. The plan is to upload the stems to Soundcloud for other students to create their own mix balances and remixes from. It should be a great little EP which you will be able to hear here! Today was an assessment presentation day for Level 1 Audio Production students. 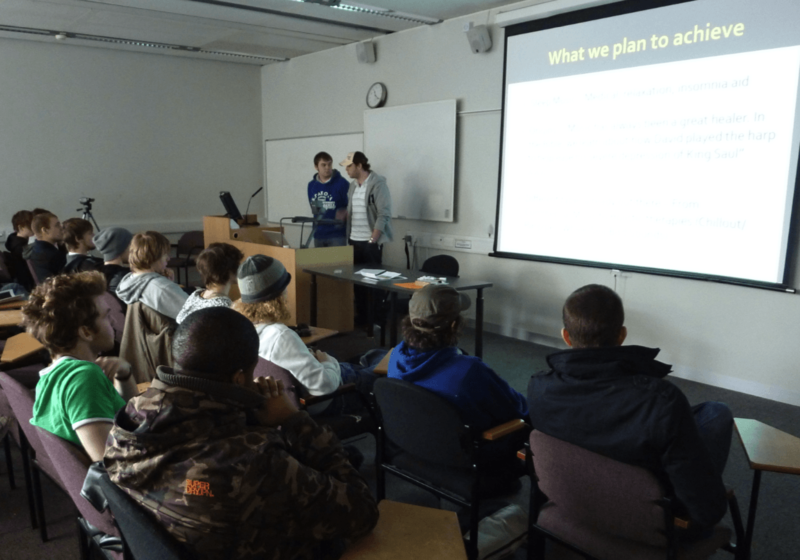 In small groups, they pitched their ideas for a music or sound design concept for the Electronic Music Production module. Being the creative bunch they are, ideas were wide ranging; from a drum and bass remix, to a sound design for a horror game, to an audio aid for relaxation, to a theme tune for a game show! The presentations are a great way for students to see, hear and comment on each other’s work and to receive developmental feedback. They now have to turn their concepts into fully formed audio products for the end of the semester. I’m looking forward to hearing them!